We will remove all the pictures & other info in this subdivision due to the on-going process of the LTS on this property.. It is 3 to 5 minutes away from San Pedro Elementary & High School campus in Ulas. Call/text me for more info and other details. Just pay the first monthly of the Equity which is payable 36 months and you are reserve already. This is only a sample computation.. Terms: 15 to 20 yrs. 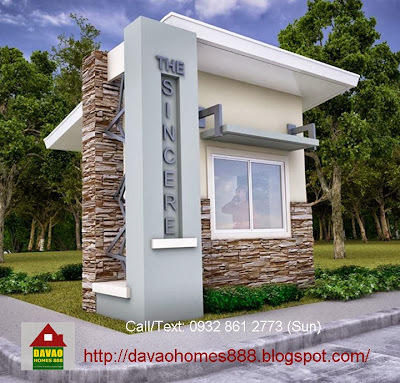 U can visit also in my Facebook page Davao Homes and hit the "Like" button.